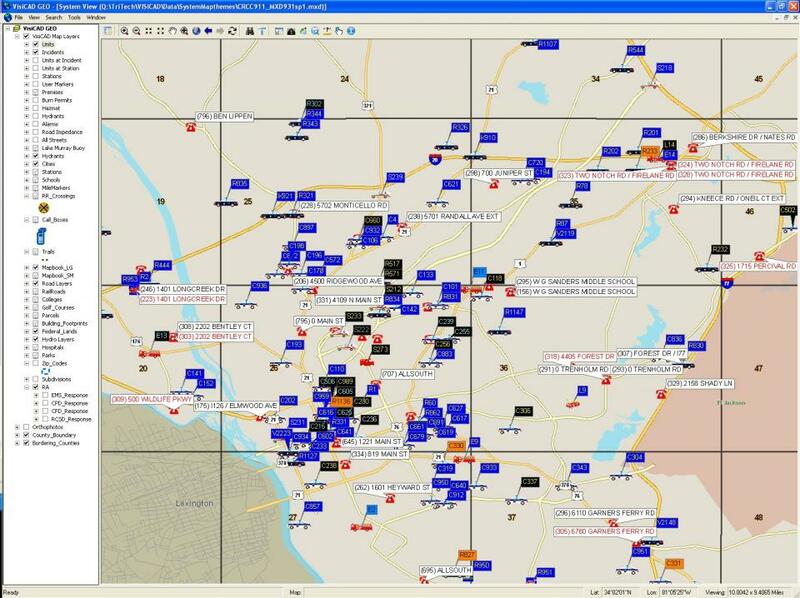 Richland County and Columbia Richland Communication Center (CRCC911), a multi-agency dispatching center, have implemented a state of the art Tritech Computer Aided Dispatching (CAD) with integrated GIS mapping using RCGEO data, Bradshaw Consulting Services MARVLIS Automated Vehicle Location (AVL), and Cassidian PlantCML Sentinel Wireless Phase II compliant phone system to assist mission critical dispatching needs for the citizens of Richland County. CRCC911 staff process approximately 750,000 911 and administrative phone calls per year. Approximately 77% of these calls are wireless. Knowing the location of each call is a necessity. When a wireless call is process, the latitude and longitude are provided for the location. 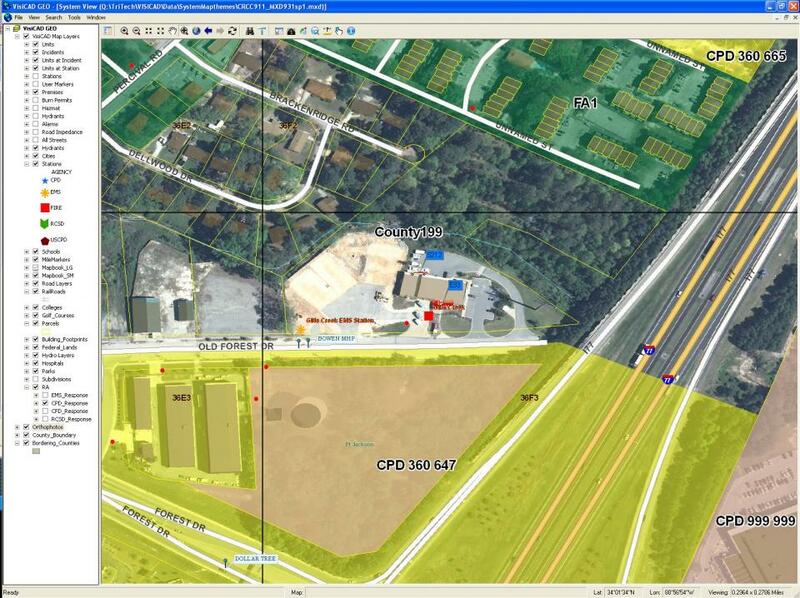 Because of integrated mapping, this location can be viewed within the CAD mapping to support with dispatching. 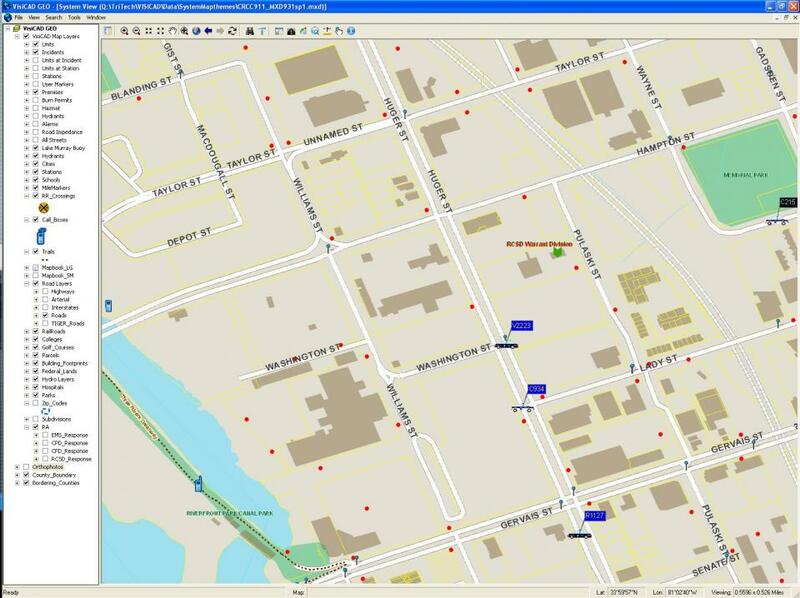 Once the location has been verified, the location is geocoded to the closest street segment, which will provide an address range to send vehicles. 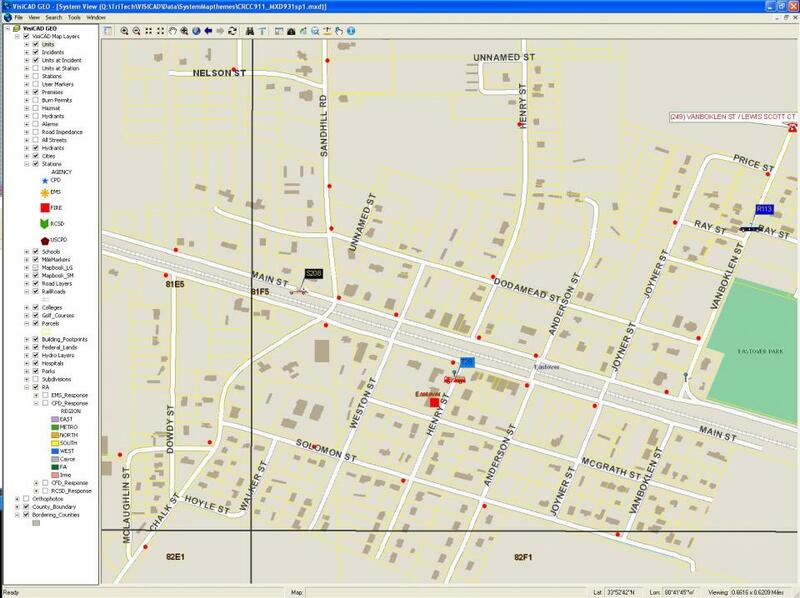 Using AVL, dispatch can update the caller with estimated time of arrival, which intersection the vehicle is entering, etc, while providing key information to the first responder. 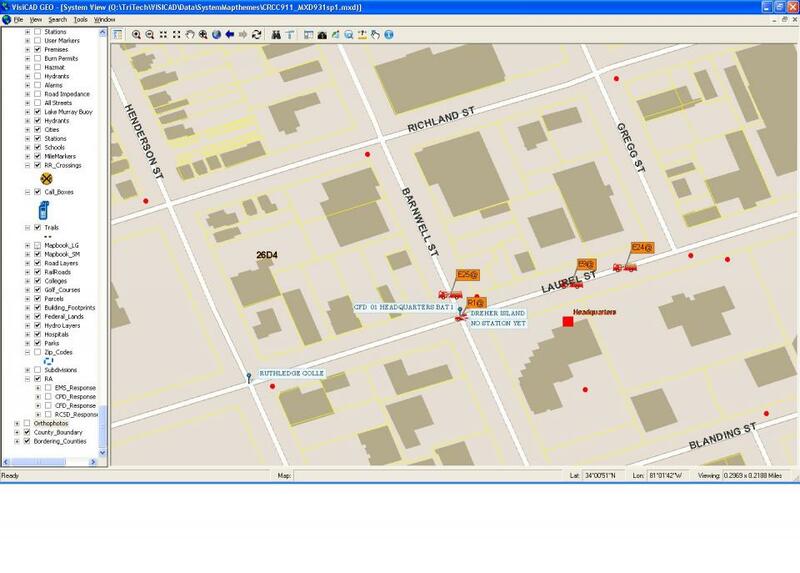 Because each component is seamlessly integrated into the map, this visual provides a bigger picture for both the dispatcher and caller.